#CanalMagic – a public programme which celebrates the innovation, heritage and economic value of Scotland’s canals - will get underway at the world’s only uphill swimming race in Glasgow. Red Bull Neptune Steps, a high-octane swimming race which takes to the water of the Forth & Clyde Canal in Maryhill on Saturday 9th April, will be the first of six Scotland-wide events inviting residents and visitors to share their experiences of Scotland’s inland waterways via social media. Under the banner #CanalMagic, which is being organised by Scottish Canals and supported by the Year of Innovation, Architecture and Design, cyclists, runners, walkers, boaters, canalside communities and local businesses are being encouraged to record what the nation’s 137-miles of canal network mean to them. The public will be able to take part in a master-planning workshop for Ardrishaig in Argyll and Bute in April, a design workshop in Bowling in the Spring, a drop in community consultation in Falkirk in May, the Edinburgh Canal Festival in June and the Go Wild community festival in Muirtown Basin, Inverness, in September which will feature designing, building and racing rafts on the canal. #CanalMagic invites canal users, from commuters who cycle along the towpath, ramblers spotting wildlife and boaters or paddlers enjoying the tranquillity of journeying along the water, to submit their ‘one of a kind’ photos and videos via Scottish Canals social media channels. 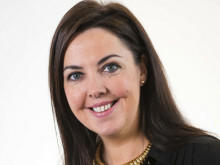 The best images and videos will be collated into a short film which will be screened in front of a 300-strong audience of international waterways experts, global academics and business leaders at the World Canals Conference in Inverness this September. Spectators at Red Bull Neptune Steps, the toughest open water race in the United Kingdom, will be encouraged to capture and share moments from the event using #CanalMagic as 200 elite endurance athletes swim 420 metres of cold water, climb 18 metres over eight canal lock gates and push themselves to their limits in a test of speed, strength, and resolve. “Scotland’s canals attract 22 million visits a year from cyclists, walkers, runners, boaters, paddlers and anglers around the world and we want to capture what makes these 250-year old heritage assets so special to them today. "It’s such a unique racing format, and will be a real test. There’s nothing else that exists like it, and it’s going to push competitors to their absolute limits’. Sign ups for entry to this year’s race will open on 1st March at 10am, opening up the opportunity for 200 participants to swim, climb, and conquer the adventure race like no other. For more information on watching the event or taking part please visit redbull.co.uk/neptunesteps. 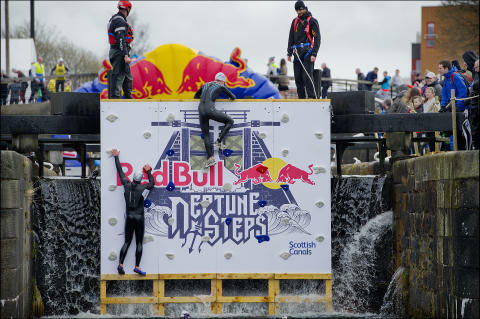 Red Bull Neptune Steps will take place on Saturday 9th April at Maryhill Locks in Glasgow.